Codeine falls under the category of narcotic medication and is used for treating pain that varies in intensity from minor to severe. Codeine is a type of opiate derived from the opium poppy plant and is related to the drug heroin. Codeine is usually prescribed by doctors in the form of pills containing combinations of codeine and over-the-counter anesthetics, such as aspirin. Common street names for this drug include ‘T-threes’, ‘Coties’, ‘Doors & Fours’, and ‘Schoolboy.’ Like other narcotic drugs, codeine can be addictive and habit-forming, and for this reason, a prescription is necessary in order to obtain products containing codeine. Although prescription opiate abuse is increasing throughout the United States, the use of codeine may not be a likely drug of choice for an abuser, especially since there is access to stronger medications. Codeine addiction is a serious problem however, and the resulting consequences of addiction to this drug can be detrimental. Addiction to codeine can have devastating effects, impacting a man or woman’s life physically, mentally, emotionally, spiritually, and socially. By identifying and addressing the problem, you are taking the first step towards recovery and overcoming this. If you or your loved one is able to seek professional help, you will have the support you need to deal with any complications that may have resulted from codeine addiction. Having the support of a professional codeine treatment center and team can create the best possible scenario for overcoming an addiction to codeine and ultimately healing and recovery from within. Codeine abuse is becoming more common Americans, with an estimated 33 million users every year. Codeine is one of the most over-prescribed drugs on the market. Codeine is typically prescribed for its pain relieving properties, and when taken as indicated, can be an effective medicinal treatment for pain management. However, men and women who use codeine chronically or long-term may develop a physical dependence to the drug. 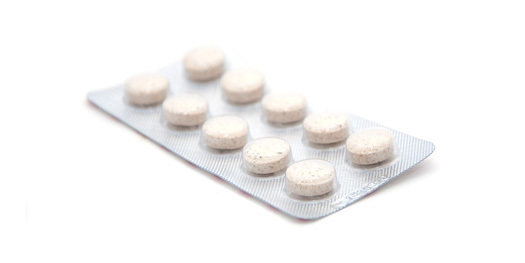 Other individuals may attempt to numb emotional or mental pain in addition to physical pain, and thus turn to codeine as an overall pain suppressant. Men and women who are inclined to abuse drugs may have several factors contributing to the addictive nature. Such influencing causes included biological, psychological, social, and environmental factors. Biological causes would include a genetic influence or a disruption in normal body mechanisms. Psychological factors would include unresolved traumas or distressing situations that been coped with insufficiently. Examples of social causes include influences from peers or having family members who are addicted to codeine. Finally, environmental factors include homelessness or inadequate food or medical treatment. Since codeine is a member of the opiate drug class, it has similar morphine-like effects on the body, including an impaired emotional response to pain and long-term impacts on the way the nervous system functions. Codeine has many side effects that can impact an abuser in several ways, including but not limited to their physical well-being, mentality, and relationships. Thank you for sharing. We are so sorry to hear about the back pain that you have been suffering through. We would definitely encourage you to work with your primary care physician to determine the best course of pain management for you. There are also several options you may consider researching for alternative pain management, such as chiropractic, massage, and acupuncture. Know that there is hope for your healing, and you are not alone.